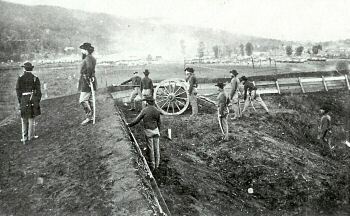 Fort Harker, located near Stevenson, Alabama, was a military fortification built by the Union Army during the American Civil War, constructed in the summer of 1862. William Starke Rosecrans was an American inventor, coal-oil company executive, diplomat, politician, and U.S. Army officer. He gained fame for his role as a Union general during the American Civil War. Union General William Rosecrans established his headquarters at Fort Harker in July, 1863. 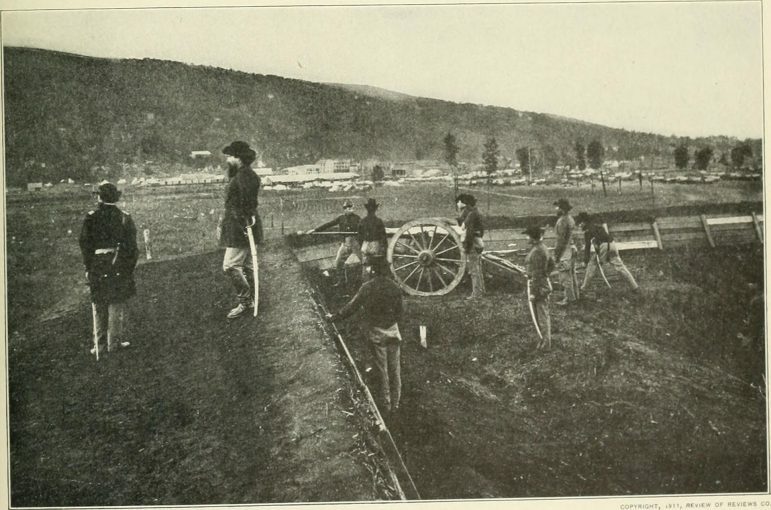 The design of the fort is typical of many built during the American Civil War. The fort was constructed as a square earthen redoubt, 45 meters (148 feet) on a side. The walls were constructed of rammed earth 4.3 meters (14 feet) high, surrounded by a 2.5 meters (8.2 feet) deep dry moat. The fort was armed with seven barbettes for heavy cannon, and a bomb-proof powder magazine. Access to the fort was by draw bridge across the moat. An eight-sided wooden blockhouse was situated at the center of the redoubt. The fort would be abandoned after the war and fall into disrepair. After restoration, the site became a city park in 1985. Fort Harker is managed as a city park by the City of Stevenson, Alabama. In addition to the historic redoubt, a wildlife observation platform has been built providing scenic views of nearby Crow Creek. The fort is on the National Register of Historic Places. An historical marker has been placed at the fort by the Alabama Historical Commission.